The Science Environment for Ecological Knowledge (SEEK) is a knowledge environment that is being developed to address many of the current challenges associated with data accessibility and integration in the biodiversity and ecological sciences. The SEEK information technology infrastructure encompasses three integrated systems: (1) EcoGrid—an open architecture for data access; (2) a Semantic Mediation System based on domain-specific ontologies; and (3) an Analysis and Modeling System that supports semantically integrated analytical workflows. Multidisciplinary scientists and programmers from multiple institutions comprise the core development team. SEEK design and development are informed by three multidisciplinary teams of scientists organized in Working Groups. The Biodiversity and Ecological Analysis and Modeling Working Group informs development through evaluation of SEEK efficacy in addressing biodiversity and ecological questions. The Knowledge Representation Working Group provides knowledge representation requirements from the domain sciences and develops the corresponding knowledge representations (ontologies) to support the assembly of analytical workflows in the Analysis and Modeling System, and the intelligent data and service discovery in the EcoGrid. A Biological Classification and Nomenclature Working Group investigates solutions to mediating among multiple taxonomies for naming organisms. A multifaceted education, outreach and training program ensures that the SEEK research products, software, and information technology infrastructure optimally benefit the target communities. This work is based upon work supported by the National Science Foundation under Grant Nos. ITR 0225676, 0225674 and DBI-0129792, as well as DARPA (N00014-03-1-0900). Any opinions, findings and conclusions or recommendations expressed in this material are those of the author(s) and do not necessarily reflect the views of the National Science Foundation (NSF) or DARPA. Berkley, C. (2003). Monarch: Metadata-driven analytical processing. LTER DataBits. Retrieved Spring 2003, from http://intranet.lternet.edu/archives/documents/Newsletters/DataBits/03spring/. Biron, P., & Malhotra, A. (2001). XML schema part 2: Datatypes. W3C Recommendation. Retrieved May 02, 2001, from http://www.w3.org/TR/xmlschema-2/. Brilhante, V., & Robertson, D. S. (2001). Metadata-supported automated ecological modelling. In C. Rautenstrauch & S. Patig (Eds. ), Environmental information systems in industry and public administration. Hershey, PA: Idea Group Publishing (http://www.dai.ed.ac.uk/groups/ssp/psfiles/virginia/EnvIS_chap.aw.ps). Brodaric, B., & Gahegan, M. (2002). Distinguishing instances and evidence of geographical concepts for geospatial database design. In M. J. Egenhofer & D. M. Mark (Eds. ), Geographic Information Science, 2nd Intl. Conference (GIScience), number 2478 in LNCS. Boulder, CO: Springer (September). Retrieved from http://link.springer-ny.com/link/service/series/0558/tocs/t2478.htm. Center for Environmental Studies. (2002). Xanthoria: A distributed query system for XML encoded data. Arizona State University. Retrieved from http://ces.asu.edu/bdi/Subjects/Xanthoria/. Fonseca, F., Martin, J., & Rodreguez, M. A. (2002). From geo- to eco-ontologies. In M. J. Egenhofer & D. M. Mark (Eds. ), Geographic Information Science, 2nd Intl. Conference (GIScience), number 2478 in LNCS. Boulder, CO: Springer (http://link.springer-ny.com/link/service/series/0558/tocs/t2478.htm). Khoral. (2002). Khoros Pro 2001 integrated development environment. Retrieved from http://www.khoral.com/. Knowledge Network for Biocomplexity. (2003). Retrieved from http://knb.ecoinformatics.org/. London e-Science Centre (2003). Discovery net. Imperial College of London. Retrieved from http://www.lesc.ic.ac.uk/projects/dnet.html. Long Term Ecological Research Network (2003). The U.S. long term ecological research network. Retrieved from http://www.lternet.edu/. Manola, F., & Miller, E. (2003). RDF primer, W3C working draft. Retrieved from http://www.w3.org/TR/rdf-primer/. MDL Information Systems, Inc. (2003). Pipeline pilot. Retrieved from http://www.mdli.com/products/pipelinepilot.html. Natural Resource and Ecology Lab. (2003). CENTURY soil organic matter model v. 5. Colorado State University. Retrieved from http://www.nrel.colostate.edu/projects/century5/. Open Source Development Network. (2003). 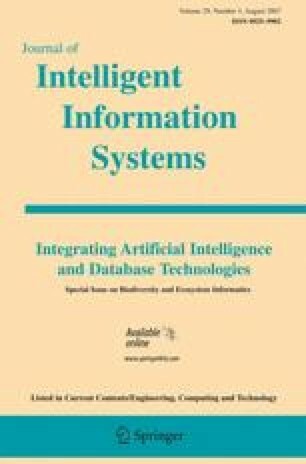 Distributed Generic Info Retrieval (DiGIR). Retrieved from http://sourceforge.net/projects/digir/. Open Source Initiative. (2003). Retrieved from http://www.opensource.org/. Organization of Biological Field Stations. (2003). Retrieved from http://www.obfs.org/. Partnership for Interdisciplinary Studies of Coastal Oceans. (2002). Retrieved from http://www.piscoweb.org/. Peet, R. K. (2002). The VegBank taxonomic datamodel. NBII All-Node Meeting. Davis, CA. Retrieved from http://www.bio.unc.edu/faculty/peet/pubs/NBII_Taxa.ppt. Peim, M., Franconi, E., Paton, N. W., & Goble, C. A. (2002). Query processing with description logic ontologies over object-wrapped databases. In 14th Intl. Conference on Scientific and Statistical Database Management (SSDBM), Edinburgh, Scotland. Retrieved from http://www.computer.org/proceedings/ssdbm/1632/16320027abs.htm. Pundt, H., & Bishir, Y. (2002). Domain ontologies for data sharing—An example from environmental monitoring using field GIS. Computers & Geosciences, 28(1), 95–102 (http://dx.doi.org/10.1016/S0098-3004(01)00018-8). San Diego Supercomputer Center. (2002). Storage resource broker. Retrieved from http://www.npaci.edu/dice/srb/. Sheth, A. (1998). Changing focus on interoperability in information systems: From system, syntax, structure to semantics. In M. Goodchild, M. Egenhofer, R. Fegeas, & C. Kottman (Eds. ), Interoperating geographic information systems (pp. 5–30). Kluwer (http://lsdis.cs.uga.edu/lib/1998.html. University of California Natural Reserve System. (2003). Retrieved from http://nrs.ucop.edu/default.htm. University of Kansas Center for Research. (2002). Desktop GARP (Genetic Algorithm for Ruleset Production). Retrieved from http://www.lifemapper.org/desktopgarp/. Uschold, M., & Gruninger, M. (1996). Ontologies: Principles, methods, and applications. Knowledge Engineering Review, 11(2), 93–155 (http://citeseer.nj.nec.com/uschold96ontologie.html). van Harmelen, F., Hendler, J., Horrocks, I., McGuinness, D. L., Patel-Schneider, P. F., & Stein, L. A. (2003). OWL web ontology language reference W3C working draft. Retrieved March 31, 2003, from http://www.w3.org/TR/owl-ref/.